As you can probably see, the Standard Issue hilt used here has been modified rather extensively. Ultrasabers’ Standard Issue is loosely based on General Kota’s hilt so it makes sense as a base. That being said, most of Ultrasabers’ hilts are a good bit larger than their in-universe counterparts. To give the saber a more Kota-like feel, I first painted the emitter and pommel, adding black accents. This was accomplished with BBQ grill paint, which was baked for additional strength and shorter cure time. 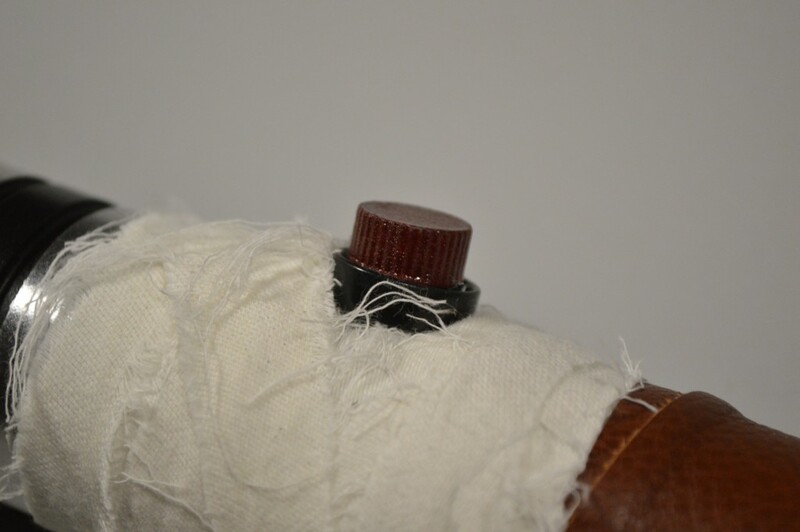 Next, I added a leather wrap from Defcon 4 on the Imperial Royal Arms forums. The leather on Kota’s in-universe hilt is wrapped like a Japanese katana, with overlapping leather to create diamonds. 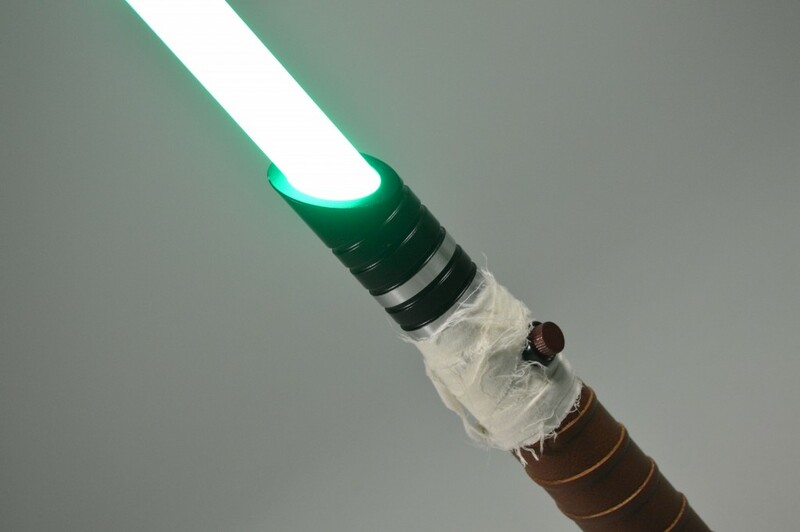 Because of the complexity of that wrap and also because I don’t care for the look, I used a standard spiral wrap for this saber. 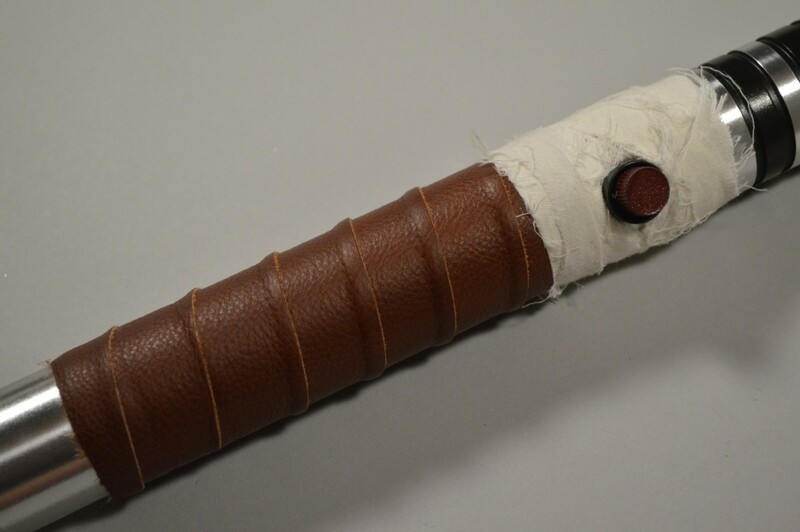 Once the leather was in place, I then added a linen wrap around the guarded switch that replicates the same one used on Rahm Kota’s lightsaber. The old bedsheets from which I cut this detail were rather low quality and fray easily. As I see it, the fraying just adds to the overall look of the hilt. The piece was then finished off with a knurled guarded switch cover from Sedsti Skyfaller Designs on Shapeways that I painted using Testors metallic red enamel. The Skyfaller Designs switch cover is a great way to dress up a plain guarded button. 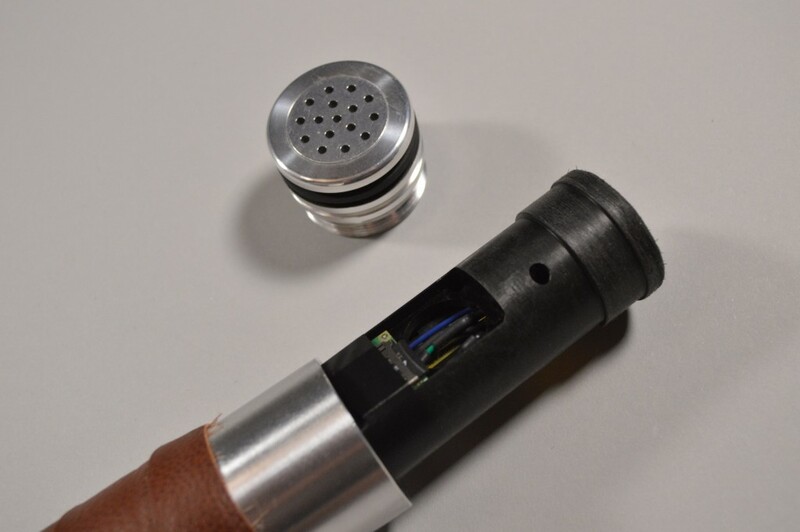 Inside the saber is a Modular Hilt System (MHS) V6 chassis from The Custom Saber Shop. This is an excellent chassis that provides space for a soundboard, an 18650 Li-ion battery holder, and a 2W speaker of either the premium or bass variety. The soundboard in this build is a Nano Biscotte V3 from Plecter Labs. I chose to keep the default Light Meat soundfont in one bank of the board’s two slots, but I swapped out Dark Meat in favor of Nightstorm’s Rahm Kota font. Nightstorm’s font is an older one, but it sounds great. 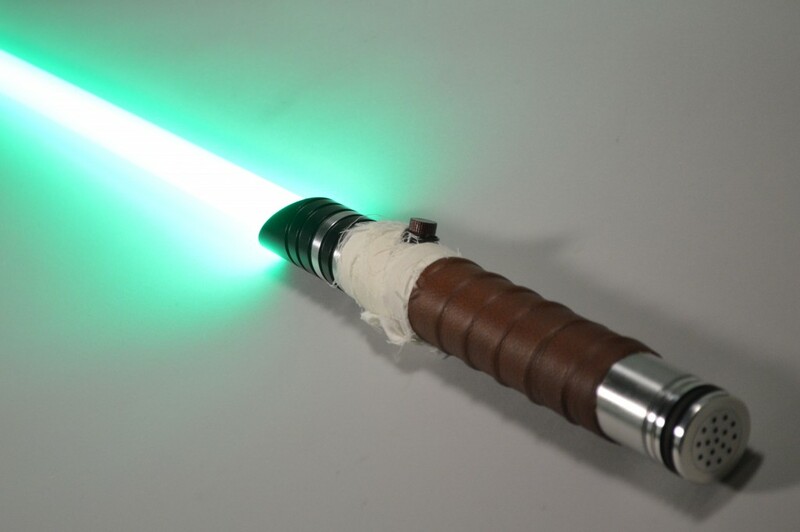 Overall, it offers the feel of a very stable lightsaber blade with strong swing and clash sounds. The font itself is made for Crystal Focus V6 boards, so it features 16 swing sounds and just as many clash tracks. It also comes with four different boot and activation sounds. Since the Nano Biscotte only supports a single activation track, 8 swings, and 8 clashes, it doesn’t use all of the files available with the font. The MHS pommel unscrews to reveal the V6 chassis with the Nano Biscotte, 2W bass speaker, and 18650 Li-ion battery. One of the major challenges I faced with this build was finding the ideal configuration settings for the Nano Biscotte. Thanks to a configuration file on the board’s SD card, things like volume, sensitivity, LED drive, and many others can be modified by the end user. Due to the layout of the V6 chassis, the soundboard had to be placed a little closer to the hilt’s mid-point than I wanted. The downside of having a motion-sensitive board near the middle of the hilt is that its range of motion ends up far more limited during swings than a board placed closer to the pommel. To get the Nano Biscotte in the General Kota to reliably register swings, the sensitivity settings required tweaking. The 2W bass speaker made by Veco and sold at TCSS is a fantastic piece. It’s very loud and offers superb bass and clarity for a small 28mm speaker. I really couldn’t ask for more from it. The saber’s Tri-Cree LED is bright and produces a full blade. The General Kota will probably be the last of my Tri-Cree builds to feature a guarded switch. There’s nothing wrong with the switch itself, but the threaded stem of the part is just way too long. When you press it all the way into the hole on the hilt, the leads almost touch the other side of the saber. Routing four wires around this tower can be a real pain. In fact, I ended up having to take a Dremel sanding bit to the part in order to reduce the size of the stem. 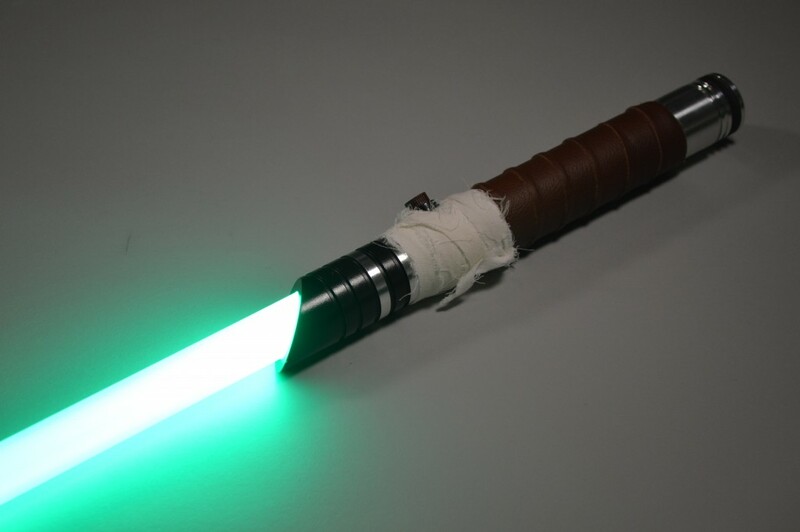 Finally, the saber’s blade is illuminated by a Tri-Cree Green-Green-White LED. The two green dice provide the main blade color and the white is for the flash-on-clash (FOC) effect. Compared to a single diode Cree, the two-up green LED is maybe 20% brighter. It’s just enough to produce a more evenly lit blade, but isn’t as dramatically brighter as some might think. 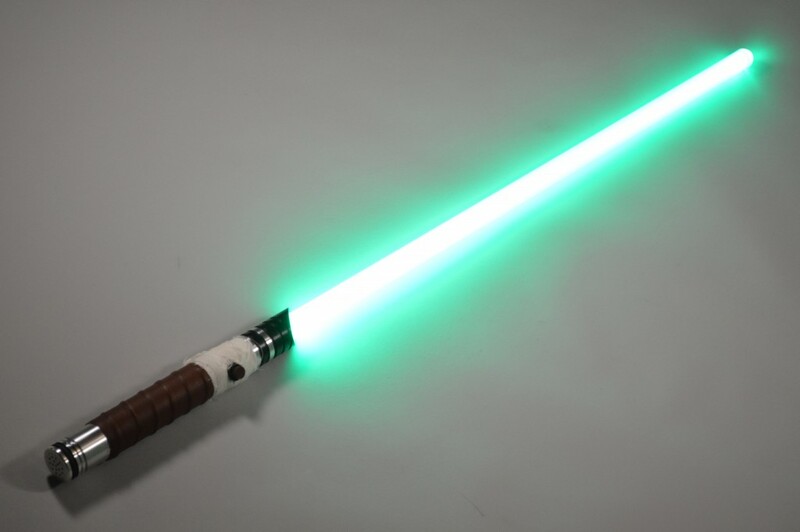 The white FOC is bright and it turns the blade into a very pale green for a split second whenever the saber hits anything. In hindsight and on future green-bladed builds, I’ll probably opt for a red die instead of the white. 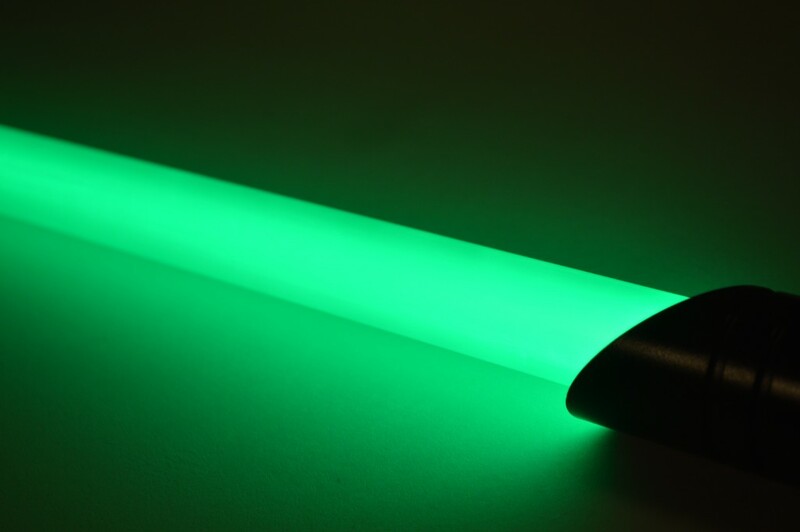 Adding red on top of the green would produce a lime or yellow FOC color that I think would be more interesting than the FOC on this saber. Even so, the General Kota looks great. This is a pretty accurate representation of the blade’s true color. 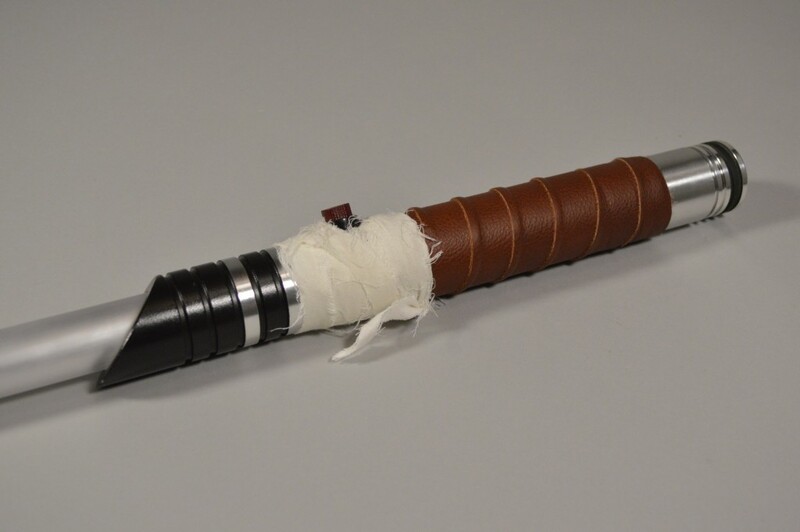 As of writing, this saber is for sale on Arms of Ilum’s Facebook page and on eBay. It won’t include a charger or blade, but for the latter, I recommend Ultrasabers’ Ultraedge Midgrade blade. Be sure to check it out when you have a chance.